Full description: Stunning architecture throughout this expansive mountain home in the golf course community of Grizzly Ranch. Walk inside to a grand entry, arched wood beamed ceilings, a spacious living room that is open to the dining room and gourmet kitchen, which offers granite, a pantry, and top of the line appliances. This home offers your family and friends four bedrooms, three full baths, two half baths, a media room and a screened in porch for relaxing after a long day of golf. Grizzly Ranch offers amenities such as a fitness center, outdoor pool, bocce court, equipment for various outdoor recreational games and is just a few miles from Lake Davis for trophy fishing. Plumas county offers several championship golf courses, alpine lakes, hiking, biking, etc., and is all within an hour of Reno/Truckee. See www.carolmurrayrealtor.com/ about this home/land. View photos of the property at www.tourbuzz.net/public/vtour/gallery/618078 . 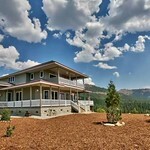 FeedBack ( 0) Located within minutes from Lake Davis, Grizzly Ranch Golf Course and bordering forest service land, this home is ideal for those who want to enjoy all that Plumas County has to offer. With dramatic views of Beckwourth Peak, this two bedroom, two bath home provides 1,288 sq. ft. of open living space with a partially finished basement. The three car garage offers ample space for outdoor recreational equipment. 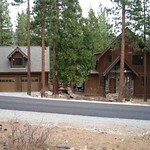 From this scenic, private location, you can be in Reno or Truckee within an hour. See www.carolmurrayrealtor.com/ about this home. FeedBack ( 0) See www.carolmurrayrealtor.com/ about this home. FeedBack ( 0) If you're looking for a great camping spot to rest your head after a long day of fishing, hiking, golfing, this may just be what you're looking for. The property is .44 acre with an area to play horse shoes, barbecue, campfire pit and more. The structure on the property has been used by the current owners as a weekend hideaway for camping . The structure is not permitted, but offers shelter from the elements. Take a look at this property before it's gone! Call today for more information. See www.carolmurrayrealtor.com/ about this home. FeedBack ( 0) New, new, new....so much new/upgraded in this fabulous home situated on 2.73 acres. Two bedrooms, two baths, large living area with woodstove that heats the entire home. New hardwood flooring, wood window trim, sinks, all new appliances stove & oven, fridge, dishwasher, tile and wood countertops, light fixtures, faucets, new paint & perimeter fence. Front and back decks for lounging or entertaining, two R.V. hook-ups complete with septic, water & power for your family reunion celebrations. Relax here today! See www.carolmurrayrealtor.com/ about this home. FeedBack ( 0) The only home in the cul-de-sac, this home exudes charm from the start. So much detailed thought went into this home with its custom architectural elements AND interior finishes, down to the travertine vessel basin in the powder room. With two master suites & en-suites in the main house and an abundant guest studio above the garage, your guests may never want to leave. The home is strategically situated above the 3rd green of the prestigious Grizzly Golf Course. Play the course then stay for a lifetime! See www.carolmurrayrealtor.com/ about this home. FeedBack ( 0) Peace, quiet, serenity are all here at 299 Arrowleaf Road. 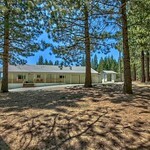 With security gate, paved access, community swimming & fitness center, Grizzly Golf Course and close proximity to Lake Davis for fishing, your dream can be realized by building your mountain home here. With 1.09 acres and a very nice building site, with views of two mountain peaks, the natural beauty surrounding this lot will surely bring you enjoyment for many years. Call a Realtor today to schedule your private showing. See www.carolmurrayrealtor.com/ about this land. 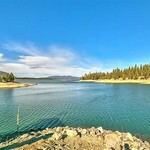 FeedBack ( 0) Lake Davis, located 7 miles north of Portola California, is one of the many picturesque lakes in Plumas County. Watch the video, by Carol Murray, for more information. If you are looking to buy or sell in Plumas County, call Carol Murray at (530) 249-2833 today! 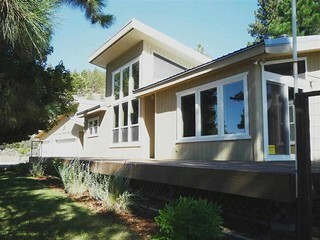 Portola Homes Sales Up From 2011, But Prices Down. The small community of Portola, California, is situated along the middle fork of the Feather River, and the eastern slopes of the Sierra Nevada mountain range. Portola real estate opportunities include multi-family residential units, single family residential units and commercial real estate. Portola real estate has never been better! The above snippets use Enfeedia's "Super Simple Syndication" eliminating the need to upload any scripts to syndicate feeds. You can explore syndication methods by going to the Enfeedia home page and selecting the "Promote/Syndicate" menu item. You will learn how to fully customize the presentation of the feed on your website. For this feed, use account name carolmurrayrealestate and then select feed portola.